Bukelwa’s back pack is made from denim and has a clip to secure the bag when closed. 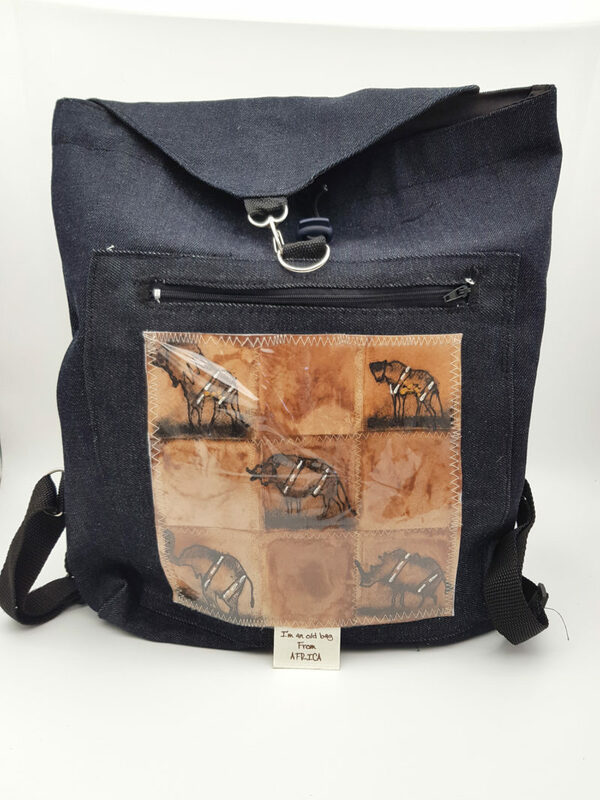 She has painted animals onto recycled t-bags to add a bit of style to the front of the bag. Each product design may differ from the one illustrated.